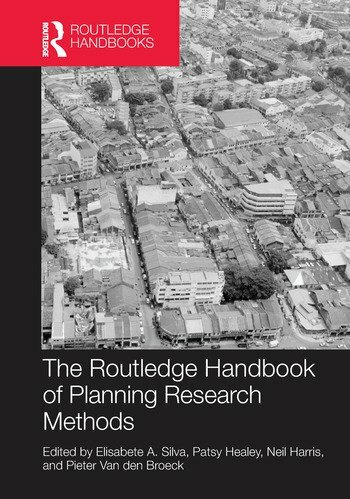 With chapters written by leading scholars in spatial planning, The Routledge Handbook of Planning Research Methods is the most authoritative and comprehensive handbook on the topic, providing both established and ground breaking coverage of spatial planning research methods. The book is an invaluable resource for undergraduate and graduate level students, young professionals and practitioners in urban, regional, and spatial planning. Neil Harris, School of Planning and Geography, Cardiff University 5.2 Research impact: should the sky be the limit? Simin Davoudi 5.3 Enabling transdisciplinary research on social cohesion in the city: the Social Polis experience. Davide Cassinari and Frank Moulaert 5.4. Research for policy relevance: critical reflections on government-sponsored research. Deborah Peel and Greg Lloyd 5.5. Using the case study approach to inform planning practice and research in Africa James Duminy 5.6 Urban masterplanning in China: a case study of policy and practice in Hua County Guanzeng Zhang, Baoyu Wang and Xinyan Jiang 5.7 Conceptual and epistemic uncertainty in planning – research for the renewal of industrial areas in Sweden. Anders Tornqvist 5.8 Cost-benefit analysis in participatory planning: a critical perspective Tore Sager 5.9 The strategic use of the charrette process for applied research.